12 years already! The FAME+ Master – started in 2007 under the name of FAME Master – since has awarded degrees to more than 270 Erasmus Mundus double diploma Master students. 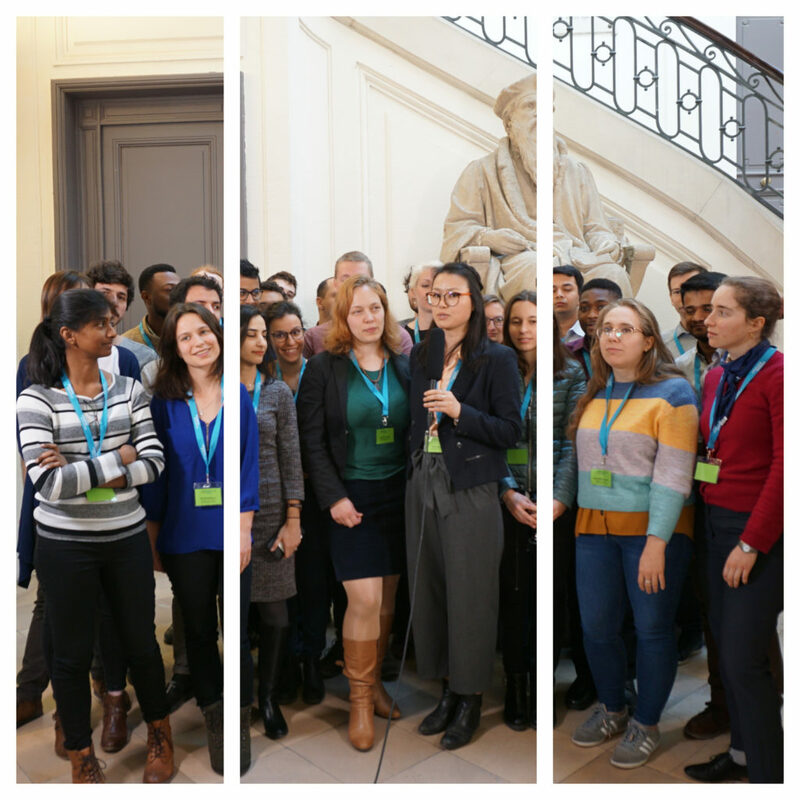 On March 21st and 22nd, around 30 FAME Alumni gathered together in Bordeaux for the FAME EMMI Anniversary Meeting. During this meeting, two Alumni Panel Discussions were conducted in a reactive and lively atmosphere, FAME Alumni from France, Germany, Ukraine, India, China, Egypt, etc. shared their experience of their studies, professional paths and international mobility. Curious like Ali Amr (class of 2012), “I really like to try out things, so I tried publishing papers, I tried filing patents, I tried to do research in universities, research in industry, to figure out what to do.” After trying many possibilities in materials, he’s now working on research and development in a company producing Gore-Tex®. Cornelia Hintze who was about to work in industry after her graduation from FAME Master in 2013, finally did a PhD following advice from a professor. But this step was not an obstacle to be reconnected to the industry; she is now an optical engineer at Ledvance. About 58% of FAME students go on to do a PhD. Among them, Christian Schäfer (class of 2015) and Halyna Volkova (class of 2013) presented their research during this reunion: Christian talked about 2D materials to build blocks for future flexible electronic devices. Halyna’s subject was Ferroelectric perovskite oxides for photovoltaics. Besides a career in research or engineering, other choices are possible. Florian Salmen (class of 2011) is working as a Patent examiner at the German Patent and Trademark office. But his knowledge in solid science plays an important role in his work. Apart from FAME+, 2 other Master programs, 2 Doctoral programs and 6 research programs have been developed with international cooperation. They are the fruit of 15 years of European cooperation on education and research, initiated by EMMI – the European Multifunctional Materials Institute. This meeting was also an opportunity to trace the history and understand the status quo of materials science. We had the honour to listen to Rodrigo Martins about Challenges of Science and Technology; to share the development of Artificial Intelligence and Robotics with Raja Chatila; to understand Japan’s “Society 5.0” with Yuko Harayama; and to listen to Donna Strickland explain how she discovered the method of generating high-intensity, ultra-short optical pulses for which she was awarded the Nobel Prize in Physics in 2018. To end this day full of science, technology, education, society and ethics, a presentation on how to make wine and wine tasting methods was very appreciated by all. Each group blended their own wine and the winners of the best wine were – FAME Alumni students! Bravo!